New changes to Virginia Wesleyan’s general studies program, effective beginning fall 2019, will directly affect the future of the history department. The first component, supported by almost all faculty, are called Wesleyan Seminars. These are a combination of the writing courses and Senior Integrative Experience (SIE). Instead of the seminars being exclusive to seniors, they will now be required freshman, sophomore and junior year. The second component is replacing letter courses with the requirement that students take two courses from each school (natural science, humanities, and social science). This is what will most directly affect the history department. Since students only have to take two courses, there is no explicit requirement for history in the new program, which means that those courses may be passed over in favor of others in the social science school. History professor Clayton Drees attended the meeting where this two-fold program change was passed. “Faculty and the history department have very mixed emotions about it. We fought in the social science school to have our requirement of two courses. One can be in history, one in anything else,” said Drees. Despite the department’s attempt to get the history requirement as part of the two social science courses, the proposal lost by one vote resulting in a divide between social sciences. Though Drees admits that their opinions might be biased, he stresses that this will be an important change for history department. 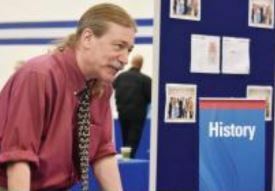 “We don’t believe that a true liberal arts education is being offered to students if history is not required at some level,” he said. Professor Kathleen Casey was also disappointed. “We cannot predict what will happen with any certainty, but in the new General Studies program I suspect far less students will opt to take a history course once such a class is no longer required,” Casey said. She also expressed regret that many students would not see the difference between high school and college-level subject material. “Many students come to college feeling alienated by high school history classes that focused on rote memorization of facts and dates. But learning to think historically can be, and often is, a transformative experience. I think that’s especially true for students whose own histories have been left out of more traditional narratives about the past,” Casey said. “I teach history because I genuinely believe that learning to ask hard questions about the messiness of the past while attempting to understand people who saw the world very differently than we do is key to becoming a critical thinker and an empathic person. 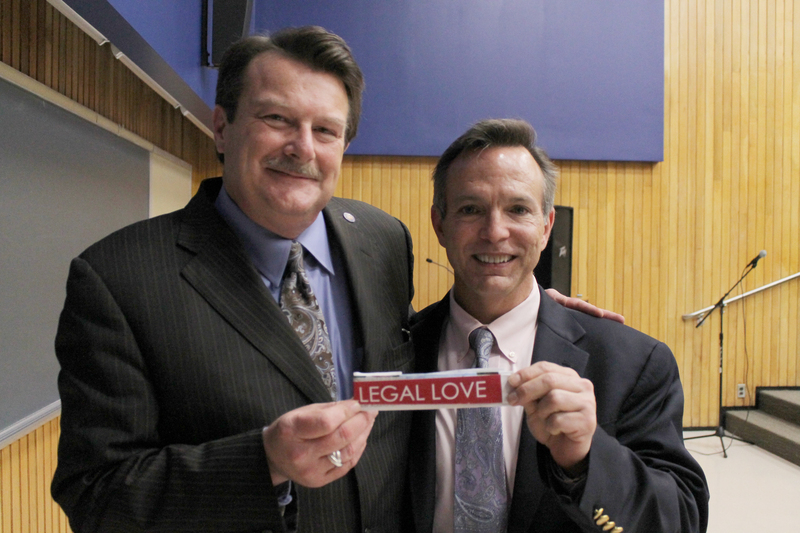 I would like to see every Virginia Wesleyan student challenged to do these things,” Casey said. Despite this, Margolies says the need for the general studies change has been long standing. “There was an interest in changing it to make it theoretically more comprehensible and also give it a lighter footprint in the overall student requirements,” he said. So what does this mean for history at VWU? About 25 students are history majors, but such a small group of students is not enough to populate all history classes. The required amount of students to have a class is 8-10 students, any less results in the cancellation of the class. This has led to the fear that many history classes will be cancelled. The history department’s objection is on two planes: the first is that they believe demand for history classes will dramatically decline, the second is how they don’t believe the education offered without history reflects a true liberal arts school. Other courses such as philosophy, religious studies, classics and political science may suffer as well. The history department also believes it will suffer because history requires a lot of reading and writing while other courses would demand a less intense workload that often appeals to students. Regarding faculty, all history professors on campus have tenure and will keep teaching unless there is a claim of financial exigency. This is not a current problem, but when history professors retire or leave they most likely will not be replaced. The president also offered a phased retirement plan which will reduce teaching load and pay. Another problem with this change, according to Nimmo, is that “the process wasn’t transparent.” As a student he receives daily emails from the campus community but he admits he did not know this change was occurring because it was not communicated. Although he believes opportunities for the history department are being taken away, Nimmo has faith that the department will not vanish.